Relationship of all kinds is often perceived as very delicate things, which require extra effort to maintain and we at achieve now a better life coaching this is important to us. There are many articles written about helping us build healthy relationships with our partners and loved ones. But we don’t hear nearly as much about the most important relationship in our lives: the one with ourselves. Your relationship with yourself is the foundation of everything. Having a good relationship with yourself improves your relationships with others. It means simply considering yourself, every day,and that consideration includes self-care, self-respect, goodwill and self-love. and happiness that now you can share with love ones and with new people that you meet. These are six ideas on cultivating a good relationship with yourself. 1. Focus on your inner world. 2. Regularly make time for yourself. 3. Care for your needs. 4. Feeling your inner joy is important. 5. Be your own best friend. Cultivating a positive relationship with yourself is the building block for your whole world. It’s crucial to have a great relationship with ourselves because it’s the only relationship that you are guaranteed to have every day of your life!. Now that you have a better relationship with yourself and understanding of who you are, you will be in a better position to build meaningful with others. Lets take a look of some of the reasons why building an effective and lasting relationship is vital to co create with people. Society is defined as a web of relationships, which requires all parties to work and contribute their share in order to achieve a common goal. Having a relationship that is good, where cooperation and respect are manifested, can make society work better. 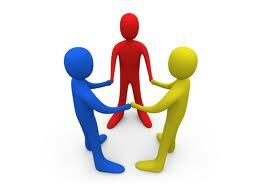 In this way each member works for the good of the whole and towards achieving a common goal. This can only be attained with effective and efficient relationships. Understanding the other person feeling and position creates an effective and efficient relationship. The easiest method to understand what is important to another person is to ask them what they want and listen to what they have to say. When the other person realizes this, they would feel the importance given to them and open to a more effective communication. Effective and efficient relationships require both people to openly express their feelings and positions on all matters pertinent on the relationship. Assuming that the other person understands our needs and give us when we need it without asking for it is not a good practice and can be detrimental. Respect is the key to relationship. In order to create a more effective relationship, parties should treat each other with respect. We can show respect just by listening to the other person and by trying sincerely to understand how they think and operate. You can also show respect to other person by confirming that they are doing everything they can to fully understand the person views. Respecting yourself and respecting others is a key foundation to a meaningful relationship and the opposite of respect is quick forming of judgments based on unfounded facts and prejudice. Another key area in forming an effective relationship is to tackle differences of the other person directly. Differences between people are quite interesting and both should work towards a win-win solution for both. This can be done when at least one person acknowledges that the relationship is important. That person would then exert more time, effort and energy to understand the other party’s needs and deal with it to get it out of the way. Should they fail, it is comforting for that party to know that they tried by effectively listening and no judging. This is important if parties are to understand each other. Developing an atmosphere where the other party can express their feelings when they need to allows discussions to be more relax and comfortable. When people fail to express whatever is on their mind or their feelings, it can get in the way of building an effective relationship. People should be aware that certain things exist naturally but should be controlled in any dealings in any relationship. Some of these things found in a relationship also include a history of stereotyping or mistrust, blaming the other person or party for a strained relationship, excluding the other party’s feelings when focusing on a task, no clear and defined objectives, roles and expectations of each person in a relationship is also unclear. Relationship is a complex endeavor to many individuals and when stuck in an issue or several issues a life coach that concentrate in relationship issues can be a source of guidance, mentor and a person that you can be accountable as you do the work and progress step by step to gain mastery. This video below is a quick presentation given by Life Coaches Lionel and Jo Ellen on the topic of the 3 key Factors needed in Love Relationship . Finally, the essence of a successful relationship at any level and between family members, co workers and spouses is honest, open communication. It does require constant work in order to fully engage in any meaningful relationship, it truly is a never ending endeavor, but one that we cannot live without.